Before you keep reading, I would like to assure you that the first part of this review will be spoiler-free. I’ll make sure once your eyes approach SPOILER territory those letters will be in bold and red, along with enough space to make sure an extra swipe or mouse-drag doesn’t get you in trouble. This book is very special and I would hate to spoil it for someone wishing to open it’s cover with no expectations, so I’ll be very careful going forward. As I read this book, I’m still haunted by Luke’s gaze (pictured above) from the recent The Last Jedi trailer. At this point, we all have our guesses about where Luke’s head is on Ahch-To, but it’s safe to say he’s not in a good place. As Maz said, “If you live long enough, you see the same eyes in different people…”. These are the eyes of a man who has seen too much. After finishing The Legends of Luke Skywalker, I’m even more at a loss when I guess what will be going through Luke’s mind when we meet him on Ach-To. Ken Liu has crafted a collection of stories that weave through the complicated life of Luke Skywalker in the fashion of great mythology and fairy tales. If you have an appreciation for bed time stories or great tales around a campfire, you won’t at all be disappointed in this book. Take some of the best fairy tales you know, put them in the Star Wars Universe, and have them center around an event in Luke Skywalker’s life you’ve yet to discover. The beauty of this book is it’s simplicity and straightforward storytelling. These are not all grand, epic tales of Luke swashbuckling evil away with his lightsaber. There is plenty that will get you excited in the book, but there’s also a fair amount that will just make you smile and enjoy a great story about Luke. The stories that defined Star Wars for me will always be the films of the Original Trilogy. I saw them as a child and I’m sitting in front of a computer writing about them today. Luke Skywalker was someone we all grew up with, watching him go from this dusty farm boy on Tatooine to the darkly clad Jedi Knight who took down the Emperor and helped his father find redemption. 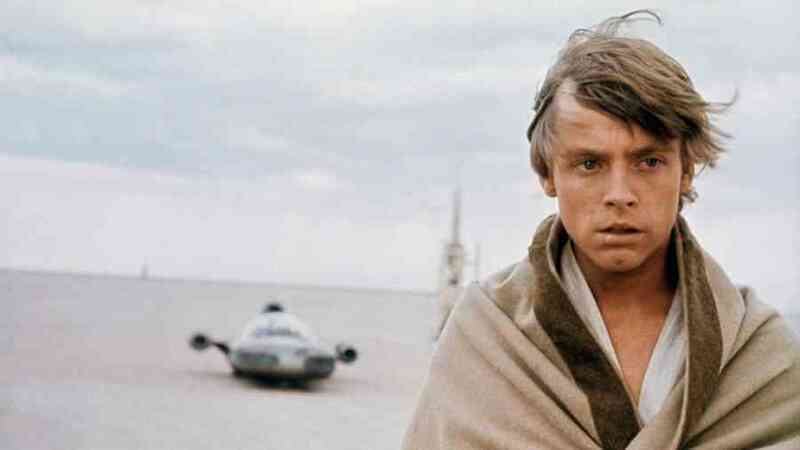 We will have a lot more to learn about Luke in the coming years, but I can’t think of a better jumping off point than The Legends of Luke Skywalker. Ken Liu gives us so much, while at the same time leaving so much up to our imagination. Watching Star Wars, we are all Luke Skywalker in some way. Reading through Ken Liu’s words, I felt like a kid again watching a VHS copy of A New Hope in my grandparents living room. These stories just flow so smoothly and by the time you finish each one, there’s another one waiting for you, until they are done. The pages fly by, and like any good book, whether it’s being told to you or you’re reading it, it ends much sooner than you hope. 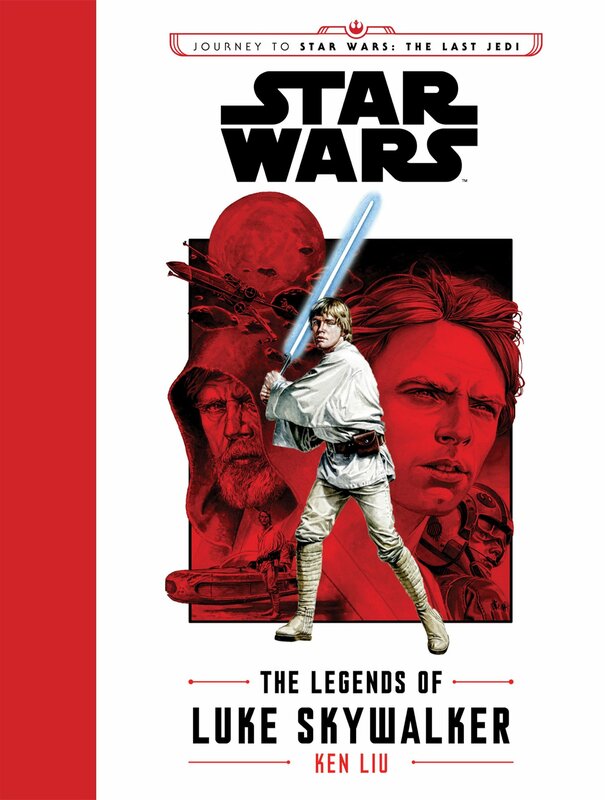 That’s not to say I wasn’t satisfied, because as I put The Legends of Luke Skywalker down after the last page, I think it was the perfect length. This is a great way to get reacquainted with Luke Skywalker. Not only is it fun to read, you can tell a lot of love went into writing this. Ken Liu undertook a project I feel would intimidate most writers and he handled it wonderfully. The Legends of Luke Skywalker has something for everyone in it. It’s beautifully written and it’s great to lose yourself in it’s stories for a few hours. Do yourself and your inner-child a favor and get your hands on a copy of this as soon as you can. The last thing I want to say before we move into spoiler territory is that despite it being under the “Journey To The Last Jedi” moniker, I don’t assume this would be required reading for The Last Jedi. Heck, if it wasn’t so damn good, I’d even say wait until after the film. 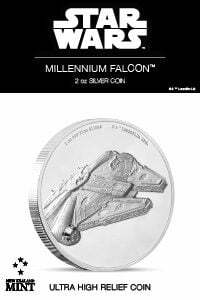 I understand Star Wars novels, toys, video games, and comics are flying at you from all angles this time of year, so don’t stress about not getting your hands on this if your money already went somewhere else. These tales will be waiting for you when you are ready to find them, and I really hope you do. BEWARE! SPOILERS AHEAD! LAST CHANCE! Welcome back! 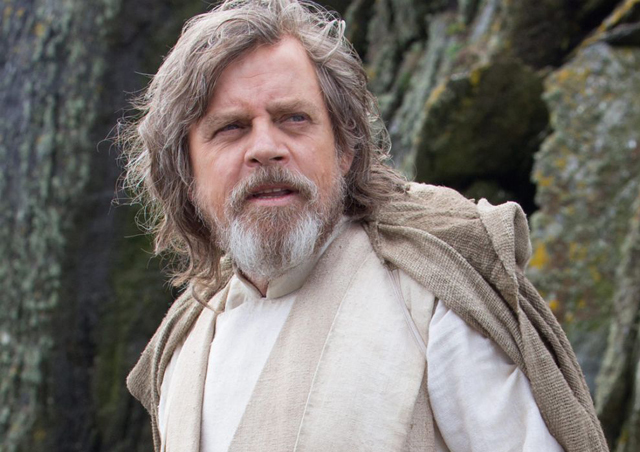 The Legends of Luke Skywalker is broken down into six different stories. The stories are told from third-person, a different narrator for each one who lived through the story with Luke. I’ll say right off the bat if you’re looking for anything about Snoke or Ben Solo, you’re not going to find it here. All but one of these stories take place post-ROTJ, but most are vague about when exactly they are taking place. This is a small glimpse into a few notable moments in Luke’s life between Return of the Jedi and The Force Awakens. I came away with the impression that despite declaring himself a Jedi in the Emperor’s Throne Room aboard the Death Star, Luke knew he still had a lot to learn about the Force. In a few of the stories, Luke specifically states he’s traveling the galaxy trying to learn as much about the Force and the Jedi as he can. If you’ve followed Luke’s journey in the Marvel comics that take place between A New Hope and The Empire Strikes Back, this will be familiar territory. Where this book and the Marvel comics differ though is that Luke is a man at peace with himself. There’s no lightsaber to wield against evil, no space battle to maneuver through, and no Empire to bring down. Luke is free to travel the galaxy to each planet in search for greater knowledge of the Force. If The Legends of Luke Skywalker is as well-received as I think it will be, I wouldn’t be surprised if we get more collections like this. Luke is like a traveling monk in search of enlightenment. The Force, as we gathered from TFA, is something that’s passed into myth. Some people even think Luke is just a great conman. It’s interesting to see how far into legend the Force is during this time period. Luke is holy man trying to find lost scripts from spiritual teachings that have all but been lost. One thing is certain, though: Luke has no doubt about the power of the Force. The Jedi are mentioned, but the Force is paramount to anything else in Luke’s focus. I have a feeling, despite the damaged man we meet in The Last Jedi, that this belief in the Force will still be true for Luke and everything he does. These stories are all exchanged by a few crew members on a ship called the Wayward Current, bound for the planet Cantonica, and more specifically, Canto Bight. This point in time is after the events of ROTJ and before TFA, as no one mentions the First Order taking out Hosnian Prime. These are men, women, and children from the fringes of the galaxy, their allegiance only to making a life for themselves in the galaxy. They all have grand ideas of what awaits them on Canto Bight, and someone mentions hoping they see heroes of the New Republic. Which hero? Luke Skywalker. 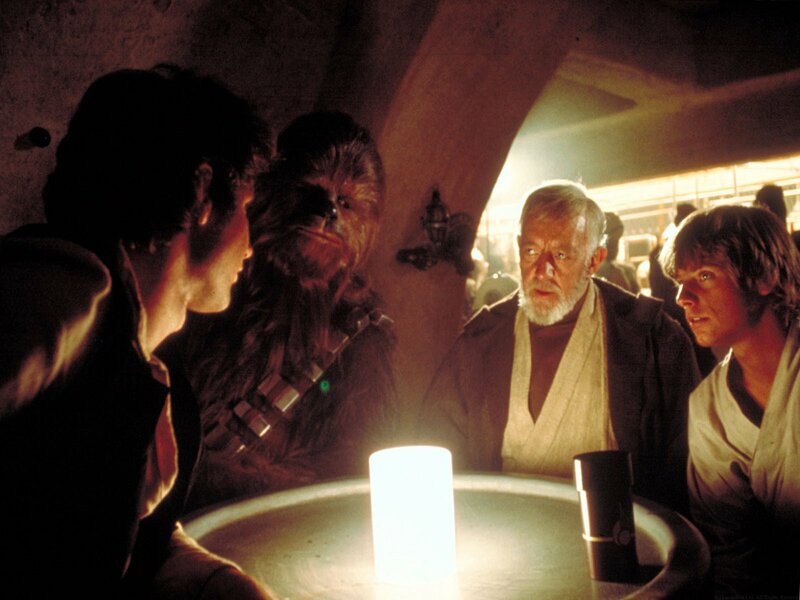 To settle the crew down, a man named Dwoogan begins the first tale, a story he heard about Luke Skywalker. This first story is told by a conspiracy theorist in a galaxy far, far away. Yes, this will no doubt remind you of elaborate YouTube videos I myself have guiltily watched, whether it’s about the NASA moon landings being faked or Snoke’s identity, the story flows with the frenetic energy of paranoia and smug confidence those videos seem to share. The person spouting off is named Redy, and she certainly has the events of A New Hope figured out in her head. The only thing is, she could not be more wrong about her conclusions, but this is an interesting point-of-view and no doubt contributed to the convoluted perception of Luke’s existence in the Sequel Trilogy-era. I’ll be honest that this was one of my least favorite stories in the book. It’s entertaining and you’ll get a chuckle out of it, but it gets tiresome because we the reader know not a single thing they are saying is true. Luke is referred to as “Lazy Luke” and Redy believes his true last name to actually be Clodpodder. Redy claims that Luke is nothing more than a charlatan. She believes the destruction of the first Death Star was faked and the idea of Luke Skywalker making an impossible shot like that is simply Rebel Alliance/New Republic propaganda. The theories get pretty far out there and it’s amusing to see how far off Redy is in her conclusions. The most interesting part of this story comes at the end, when a hooded figure who’s been listening the whole time asks what became of Luke. Redy mentions Luke supposedly pops up on despondent worlds, performing “miracles” and essentially conning whoever he can into believing his abilities. After Redy leaves, one of the listeners begins to suspect the hooded man, wearing a single black glove on his right hand, may have actual knowledge about the events described. The hooded man has interjected and asked just enough questions to make himself suspect, and of course, the hooded man turns out to be Luke Skywalker himself (though he’s never identified). Luke doesn’t want to dispel the conspiracy theories, because at the end of the day he thought of himself as an ordinary person doing “what had to be done to restore freedom and justice to the galaxy“. From the description of Luke, I’m guessing this is the closest point we meet him before the events of his Jedi academy and self-imposed Ach-To exile. He’s described as a bit worn and tired, but nothing like the man we saw in The Last Jedi trailer. Despite this being my least favorite story in the book, it was a good way to get started, establishing that not everyone in the galaxy had the front row seat we did for the events that brought down the Empire. A lot gets lost in time, especially in a vast galaxy with many of it’s own legends. The second story is when the book really kicks into high-gear. 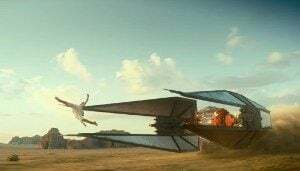 This story is set on Jakku, not long after the famous Battle of Jakku that we’ve experienced from several different perspectives. Despite that, this is a tale that’s been passed around the galaxy and is told by an Imperial officer who survived. The story opens with the horrific recount of what it was like to be on a Star Destroyer crashing into the surface of Jakku. Ken Liu’s description is vivid and paints a picture of the terror every individual must have felt as their ship and Empire came crashing down. While the Star Destroyer careens to the surface, a holographic transmission comes in. “MOST WANTED: LUKE SKYWALKER, JEDI WAR CRIMINAL, EXTREMELY DANGEROUS”. The holograph becomes distorted and terrible as the officer watches his ship torn apart and it eventually the man is so terrified of it he thinks it’s after him. The man manages to make it to an escape pod and once he’s on the surface he’s revived by a mysterious stranger that bears a strong resemblance to the hologram of Luke Skywalker. The Imperial officer is severely injured and the stranger keeps him alive. This is Luke, so here we have a pretty big revelation: Luke Skywalker was on Jakku at some point. To me, that’s huge, especially since Liu describes Luke taking a moment to stare intently at a downed AT-AT. Hmmmm. Luke keeps the man alive as he moves through the wreckage of the Imperial Navy’s finest. The man needs medical attention, and Luke explains he means to find an Imperial installation guarded by soldiers in “crimson robes” If you’ve read Aftermath: Empire’s End, you know Luke is searching for the underground observatory built by the Emperor to carry out his Contingency plan, ensuring the Empire would not outlive Sheev. This is pretty cool to think that Luke wasted no time trying to figure out what exactly the Emperor was up to. 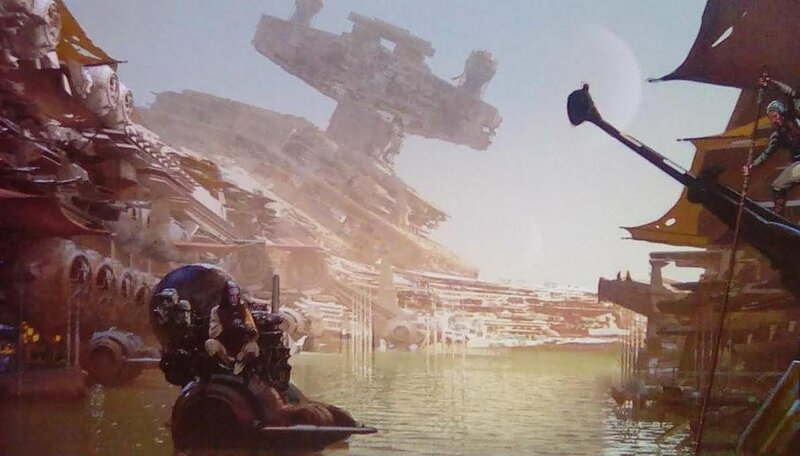 Once they reach the Jakku Observatory, we find it just how Sloane left it, destroyed. It’s clear to Luke and the man there was once something there, but now it’s just rubble being picked over by scavengers. As they comb through the wreckage, an earthquake from a Star Destroyer simultaneously sinking and suffering a reactor meltdown draws them back out. 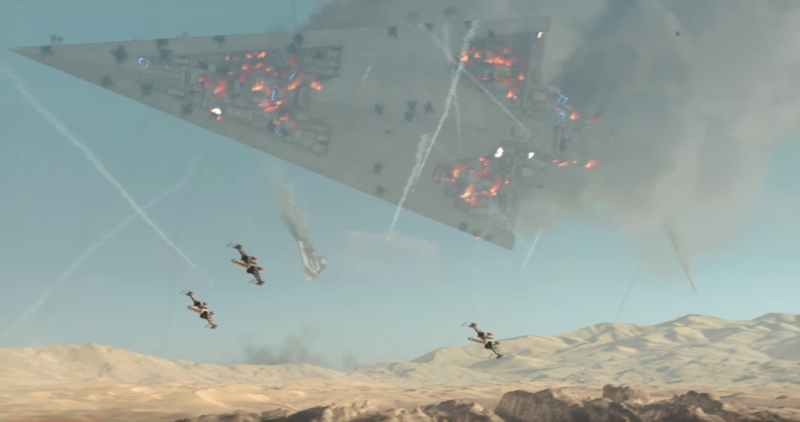 Due to the intense heat, the sand surface of Jakku turns to a lake of lava as it swallows the Star Destroyer. As the lava cools, it becomes a sea of liquid glass, and Luke helps lead the scavengers and the wounded Imperial officer across it. While Luke leads the way he introduces a familiar mantra to the man. I don’t know a Star Wars fan who wouldn’t get goosebumps reading that. A pretty cool nod to Chirrut from Rogue One. 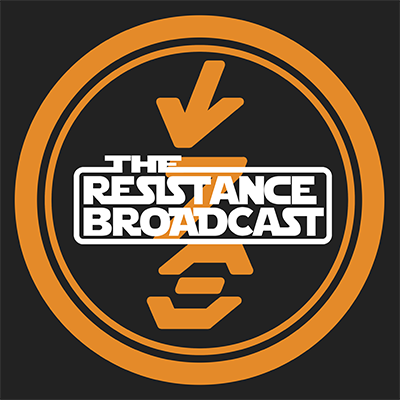 Luke leads the group to safety and hands the man a transmitter to call for Imperial rescue ships to pick him up. Luke asks the man to wait until he’s gone and the man obliges. When the man asks him if he really is Luke Skywalker his cryptic response is “We are all Luke Skywalker“. The man is dishonorably discharged from the services of the Empire after his rescue and he makes his home on Jakku. We are left with the open-ended possibility that it may not be Luke Skywalker, but I’m writing this review so I’m going to say it IS Luke. My favorite of the stories was the third one, set on a kind-of water world called Lew’el. This story is told by a stowaway, who we learn had a pretty fantastic meeting with Luke. Lew’el is an ancient planet, forgotten by the galaxy as it grew. For the most part, the people of Lew’el are isolated, riding giant birds called wind-trusters across the ocean to hunt for food. This story is where Ken Liu’s beautiful descriptions really shine. The people of Lew’el are devoted to the Tide. It is there understanding of the Force, and Luke Skywalker arrives in Lew’el prepared to learn all he can about the Tide. This story reminded me of Yoda’s experience in Marvel’s Star Wars arc “Yoda’s Secret War”, only that the people of Lew’el are not at war and are very intrigued that Luke has shown up to learn about the tide. The leader of the Lew’el people, Elder Kailla, agrees to let Luke study their ways, as long as he promises to use that knowledge as a teacher. Luke states that he has been traveling the galaxy, trying to learn as much as he can, so he can teach individuals who feel the Force/Tide. Luke is referred to as Seeker in the story, and it’s narrator, Aya, is his guide to the ways of the Tide. I imagine he sees much of his farm boy self in her, as Aya has many questions about the galaxy and expresses an interest to one day leave Lew’el and see it for herself. When Luke and Elder Kailla speak again, they get into a very deep conversation about the Tide/Force. The people of Lew’el simply try to let the Tide move through their lives, and though Kailla says that they don’t necessarily believe in the Dark side, they believe any attempt to control the Force is misuse. The people of Lew’el are survivors of an ancient war between those who tried to control the Tide. Luke recognizes their ancient relationship with the Force is knowledge no Jedi has ever touched, so he agrees to undergo their complete training, starting where children do. Luke undergoes his Tide training, which consists of riding the wind-trusters and learning to breathe underwater using air bubbles. Luke unlearns what he learned from Yoda. If you’re fascinated with the different spiritual aspects the Force has in the Star Wars Universe, you will devour this chapter like I did. I believe there is a big hint in this story as to one of Luke’s motivations for being on Ahch-To. At the end of his trials of the Tide, Luke says, “…trust that sometimes to yield is not to surrender but to dissolve the ego in the grand web that connects all to all”. Maybe I’m wrong, but Luke seeking out the first Jedi temple only to renounce the ways of the Jedi suggests he is yielding to what he believes to be the will of the Force. The Jedi were wiped out, first by his father, and then once again, by his nephew. Maybe Luke feels that the Jedi, even though they use the Force for good, are corrupting it simply by using it. The people of Lew’el preach that the Tide is only something that flows through them and when they tap into it, they only follow it’s will. Perhaps Luke feels the best way to honor the Force is to end the Jedi Order. We shall see. Luke ultimately departs Lew’el, but not before Aya promises him someday she will see the galaxy. Aya does, and we meet her on the Wayward Current as the stowaway, which has just arrived at Canto Bight. She asks them to call her Flux, because she thinks of herself as change. The rest of the crew want to hide her, since she is a stowaway, until they can get her off the ship and she can blend in with the rest of Canto Bight. As they find a place to hide, a new narrator encounters them, a droid named G2-X, or Geetoo. The little droid has a story of it’s own to tell. If Canto Bight is where all the privileged go to play in the galaxy, the Gem may be where some of them end up as a home. We meet G2-X on a droid slave ship bound for the Gem in the Unknown Regions. The Gem is an enormous glass structure, almost like a transparent moon, that orbits an inhospitable planet. Wealthy elites make their way to the Gem so they can live as they please without the New Republic or any government telling them how to live. It’s like a private island, of sorts. The dark underbelly of this society is that they send sentient droids into the depths of the deadly planet the Gem orbits, mining for a rare mineral that funds their selfish utopia. G2-X witnesses firsthand the mistreatment of droids. If you haven’t read the one-off Marvel comic, C-3PO, it makes a big point that droids are intelligent life forms, self-aware and they have a soul. With that in mind, it made this story hard to read, as the droids are cruelly treated and cast into the mines to perish in service to their greedy masters. Because the planet itself harbors such a harsh climate, droids are the only slave labor that can mine the ore, though I’m sure if they could send humans and aliens down there they wouldn’t hesitate. This is a society only concerned with it’s own prosperity, walled off from the rest of the galaxy. If you squirmed as the little droid was tortured beneath Jabba’s palace in ROTJ, you’re going to have a hard time with this story. G2-X is reprogrammed as an enforcer droid, which means it instills punishment on droids who either refuse to do their work or are failing to meet their quota. If that weren’t bad enough, G2-X is horrified that it is doing this, but cannot not do it because it’s in the programming. 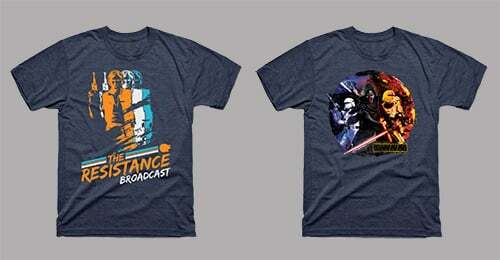 The enforcement is how G2-X meets R2-D2. Artoo has fallen into the clutches of this society and is toiling away in the mines under the Gem. It’s not really clear how Artoo ended up here, but Luke has proven the astromech droid is like family, so the Jedi Knight himself is not far behind. Luke infiltrates the mine, in disguise as a protocol droid (I got the impression Luke was doing his best Threepio impersonation). The story doesn’t have any huge surprises from that point. Luke shows that he values all life forms–droids included–and recognizes their place in the galaxy. Luke frees the droid slaves and manages to lead a non-violent revolt against the lords of the Gem. The droids take control of the station and Luke sees to it that the elites are taken to authorities. There’s not really too much to the story other than that. It’s another interesting point-of-view. G2-X, back on the Wayward Current, stays with Flux to help aid her safely to Canto Bight. For the fifth story, which was by far my least favorite of the stories, comes from the perspective of a somewhat unreliable narrator. Much like the conspiracy theorist first story, this narrator definitely believes what they are saying, but I doubt very much of it is true. 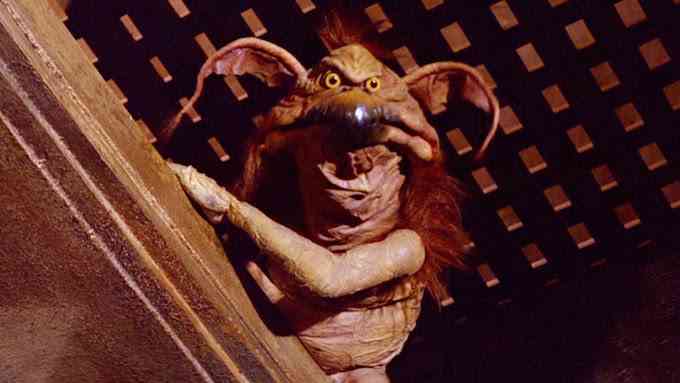 This story is told from the perspective of an insect-like creature that resides in the hair of Jabba the Hutt’s pet, Salacious Crumb. This recounts the events of Luke rescuing his friends from Jabba’s Palace, told from the point-of-view of a Kowak mole-flea. The insect believes herself to be of great influence to Salacious, who she looks down on as a sellout comedian who settled for a place in Jabba’s court. She claims to converse with Salacious, Leia, and ultimately Luke. She says that Leia promises her representation in the New Republic and that she’s the one who tells Luke how to fend of the Rancor. The mole-flea takes turns riding in Salacious Crumb’s hair, an enslaved Leia, and ends up on Luke’s head as he plummets toward the Rancor. She is with Luke the entire time at the Great Pit of Carkoon, as the Jedi dispatches Jabba’s entourage. I understand what Liu was trying to do with this chapter, it just seemed a bit silly to me. It’s hard to go back to Tatooine, to one of my least favorite scenes in the Original Trilogy. There is very little insight into Luke’s development as a Jedi and we really learn nothing new from the retelling. In my opinion, Liu could have used this narrator in a different and more meaningful way with a lot more effect. I guess I don’t have a lot nice to say about it, so let’s move along. The last story is really cool. It sounds outlandish, but by the end of it, I bet you’ll be pretty impressed that Ken Liu pulled it off. It takes place in the belly of an exogorth. You will never look at an exogorth, or what I used to call space slug until I read this and took a trip to Wookiepedia, the same after reading this story. It’s told by a scientist who meets Luke after he responds to a beacon she’s transmitted, hoping to get a ride from her research site on a remote planet. Luke, strangely enough arriving in an A-Wing (I wonder if that’s his TLJ ride? ), picks up the scientist and they make their way through an asteroid belt. The scientist has no idea who Luke is, but once he finds out she is a fellow researcher of galaxy, he tells her he’s traveling and trying to learn as much about the Jedi as he can. The scientist is skeptical of anything she’s heard about the Jedi, chalking them up to legends of the galaxy. As they make their way through the asteroid field, a pair of lights appear and start moving around them. The dots have a firefly quality to them, so Luke and the scientist follow them into the mouth of a cave on a larger asteroid. They put on respirators and hop out of the A-Wing to take a look around. As they get deeper into the cave, they find a set of inscriptions Luke suspects are related to the Jedi, though he’s not sure what they mean. The cave itself begins to shake and the two of them end up trapped, realizing they are trapped behind the mouth of the exogorth. One would think that they could just wait until the slug opened it’s mouth to get out, but the scientists informs Luke that space slugs only eat once every few decades, because their metabolism is so slow. With few options, Luke and the scientist move deeper into the belly of the exogorth, trying to figure a way out. They have limited air, so the clock is ticking. Eventually, they discover the inside of an exogorth has it’s own atmosphere, so the concern about running out of air fades. 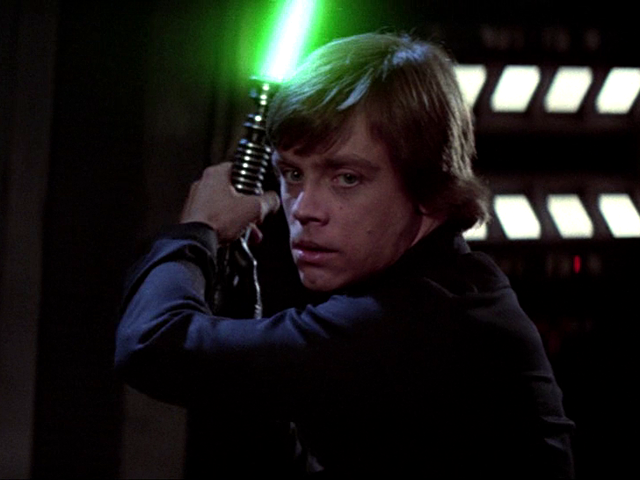 We do get a pretty cool description of Luke reluctantly taking out mynocks with his lightsaber. These mynocks come off as more aggressive and dangerous than the ones attaching themselves to the Millennium Falcon in TESB. Luke doesn’t want to kill them, but he has no choice. Their sacrifice ends up serving a purpose, as Luke and the scientist construct a raft from the mynock corpses to cross a lake of stomach acid within the exogorth. After a duel with another, this time tentacled, organism, Luke and the scientist find more inscriptions, leading them deeper into the exogorth. At this point, Luke is convinced that the inscriptions are Jedi related. The duo are sustaining themselves during the days they wander through the belly of the beast on fungus that grows inside it’s stomach. Their situation is starting to wear on them, wondering if they will ever get out, when they come upon a new cavern. It’s a chamber, built by the ones who made the inscriptions. In the center there is an altar and three sculptures of figures in “flowing robes“. They appear to portray the three figures in some type of prayer or meditative ritual. Eventually, the eyes come to life, and Luke can hear them through the Force. The scientist is very confused, but Luke explains what these sculptures are. They are cocoons, and the ones encased are very much alive, slowly passing through time. They are ancient travelers, referring to themselves as “master weavers of the Luminous Mist”. It’s very clear that Mist=Force, and these three were on a similar journey Luke is on. They traveled the galaxy for a long time trying to learn as much about the Force as they could. They followed the same lights Luke and the scientist did, into the belly of the exogorth, and were only saved by the cocoons spun using the Force, built from the very fabric of the universe. This is a new level of mastery in the Force we’ve never heard about, not immortality for selfish reasons, but more a slowing of time to have a greater understanding of the Force. The weavers of Luminous Mist sense Luke and also seem to sense the coming darkness of the First Order. Let me be clear, they do not state that explicitly, it’s just my interpretation. There’s no, “Well, we better help Luke out so he can train Rey to be a Jedi to stop Snoke and Kylo Ren”. The weavers are very vague, but they see hope in Luke, and decide that they will sacrifice their cocoons to help Luke and the scientist escape the exogorth. 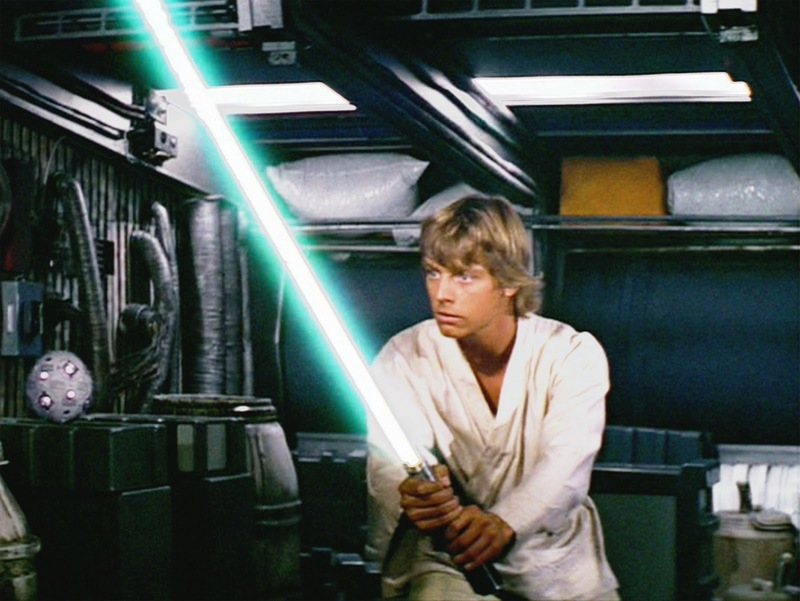 The excruciating part is that Luke will have to cut the cocoon apart with his lightsaber. He feels very conflicted, until he remembers the look on Obi-Wan’s face when he sacrificed himself to save Luke on the Death Star and become one with the Force. Luke knew that sacrifice was just another step in the Force for Obi-Wan, and that if he is to grow as a Jedi, he must accept the sacrifice of the weavers. The fabric of the cocoons is powerful enough to transport Luke and the scientist back to the surface of the asteroid. Thanks to the sacrifice of the weavers, Luke can continue to study the Force and fulfill whatever his destiny will be. It’s impossible not to think of Jonah and the whale while reading this final story. Jonah and the whale is a story from Christianity. Jonah, fleeing the city of Nineveh and refusing to answer God’s call, is swallowed by a whale on the open sea. For three days, Jonah repents inside the belly of a whale after being swallowed by it during a great storm. God hears Jonah, and the whale coughs him up, now spiritually enlightened, returns to the city of Nineveh to save (in a spiritual sense) those who do not know God. Luke’s fundamental understanding of the Force is deepened when he sees that it’s influence and greater knowledge requires sacrifice. Finding that knowledge within the belly of the beast, as Jonah found God again in the belly of the whale, shows Luke that his ultimate destiny may be a sacrifice to lift himself or someone else in the Force. On a personal note, I am not a practicing Christian, and I apologize if this summarization or comparison is offensive to anyone. 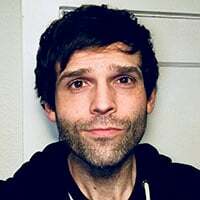 I only mean to compare the similar journey to find a unified spiritual and existential meaning in the universe, whether that is a deity or unexplainable force. I respect everyone’s spiritual and/or religious beliefs, so please know I meant the comparison to be complimentary. The book ends as Flux, Luke’s guide on Lew’el, makes her way into the crowds of Canto Bight and starts her own journey of getting to know the galaxy. The rest of the crew realizes that there is some magic left in the universe, something of the Force, if all of them have been brought together by these stories of Luke Skywalker. They realize legends and myths surrounding Luke Skywalker are not just about the last Jedi, they are about the good in the universe and that every being is connected through something much bigger than themselves. They are all Luke Skywalker. Though this book definitely has a few stumbling points, the good far outweighs any bad. The two stories I didn’t really care for weren’t necessarily bad, they just seemed out of place and a little mediocre compared to the great ones. It doesn’t take away any of the respect Ken Liu treats his audience with, as I can tell he put a lot into writing this. This is a really great way to show us a little more of the journey before we get some really big answers in December. Also, at the beginning of each story, there are awesome paintings by comic cover artist J. G. Jones. It’s a nice bonus to get great artwork that captures a moment from the story it leads into. The artwork definitely gives it a fable edition look. It compliments Ken Liu’s writing and the tone of the book. The Lew’el piece of Luke riding the birdlike wind-thruster over the islands and ocean is my favorite. You’ll see what I mean. They’re great! I don’t think we are ever going to look at Luke Skywalker the same way after The Last Jedi. This is just a guess on my part, but the few glimpses we have been given should prepare us for a different Luke. As I mentioned earlier, Mark Hamill conveys so much with his eyes in that portrayal. The man just looks terrified of the galaxy. Whatever troubles Luke’s had, I don’t have any anxiousness about him turning to the Dark Side. Whatever Luke’s destiny, I think he is still the good person we followed as children, and it just might take someone like Rey to bring him back. In closing, I encourage you to approach these stories with an open mind. My summaries in this review really do not do justice to Ken Liu’s writing. Liu’s storytelling is totally worth your time, so I hope this book finds it’s way to you soon. 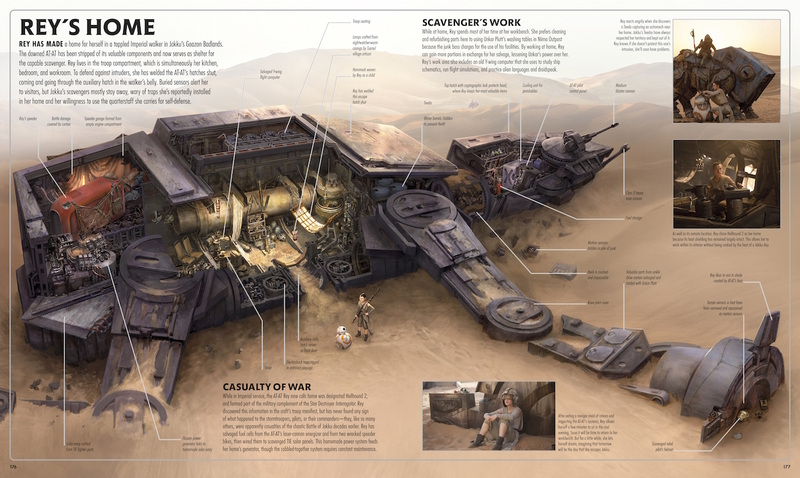 It’s good to take a step back from the intensity of the saga and take a moment to get a look at the wondrous parts of the Star Wars Universe. These would still be great Star Wars stories without Luke, but it makes them that much better he’s there. In some way, we are all Luke Skywalker. Special thanks to Disney/Lucasfilm Press and John Hoey for the advanced copy! The book will be released on October 31st.